For the last three months I have been living in Braybrook as I wait for my own house in Yarraville to become available. One thing I have noticed is the amount of abandoned shopping trolleys that are in the area – it’s a kind of urban phenomenon. So much so that in the last three weeks I have taken to photographing them in their habitat and you can view some on my Flickr page. There is also a great Flickr group dedicated to abandoned trolleys from around the world, with much better photographs than mine that is worth checking out. 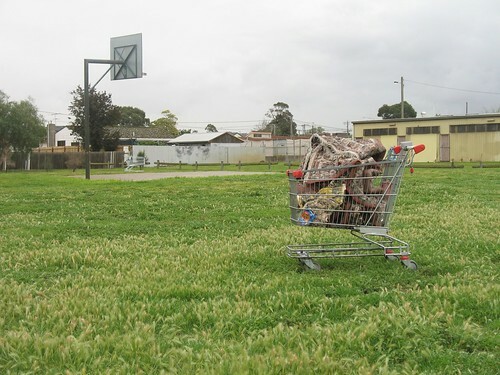 In a few days I move to Yarraville and I wonder if there will be as many trolleys to photograph – I am guessing so as I live very close to a large chain supermarket.